Outboard motors are a favourite target of organised criminals. 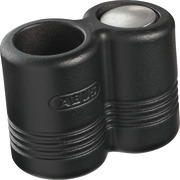 ABUS designs security solutions that can be fitted to almost any standard engine with minimum effort. The 808 Reef and 388 Nemo Evo models provide high security theft protection in conjunction with long-term corrosion resistance.